This government systematically attempted to manipulate democratic institutions, including the judiciary. When he was first elected in January, 2015, Prime Minister Alexis Tsipras told Parliament that his government would enforce “every word in the Constitution". That was one of his many promises which were not kept. This government has repeatedly violated the spirit of the country’s Basic Law and sometimes even the letter. It violated it in the area in which it must be most jealously guarded – that of state institutions. Now we are witnessing a degradation of Parliament with phenomena like an MP who said he was having a soft drink during a vote and another who has repeatedly sworn he will resign his seat, but in the end he explained his unwillingness to do so by saying that his car broke down. 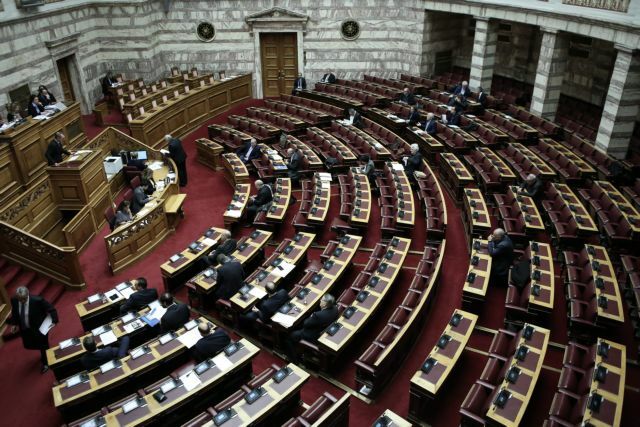 The MP revoked his resignation to give the Parliament Speaker time to change parliamentary rules in order to save the parliamentary group of the government’s erstwhile coalition partner, the Independent Greeks. These ridiculous ongoings in Parliament reveal that the ruling party is being held hostage by its former partner. The country is being held hostage too. At long last, one cannot sacrifice evrerything in the name of a party remaining in power. Moreover, everything cannot be degraded. The willingness of certain MPs to back the government is one thing. Degrading everything around them and themselves at once is quite another.